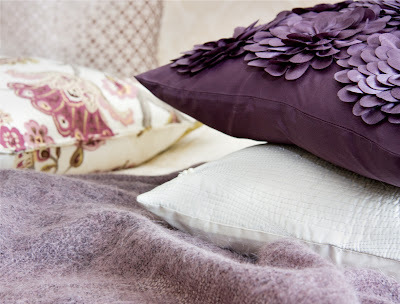 These are important ingredients in a room for me and decorative, beautiful, downy soft feather cushions are the perfect ingredient - it’s great how they add sumptuous luxury and character to a room. There are a few key points for me when selecting decorative cushions. They MUST have a feather insert - no foam allowed, ever! They must be at least 18 ", and 20 " or 22 " is even better. Labels must be hidden on the inside and the fabric must be beautiful and soft. Once you treat yourself and your decor to this affordable luxury you will never compromise again and trust me, you will ..." love your room."